It is an honor to write and congratulate you on the success that has been achieved by the Mississippi State Equine Association. As the former State Commissioner of Agriculture and Commerce, it was always a great pleasure to work so closely with the Mississippi State Equine Association. Thank you for your contribution to the Mississippi State Equine Association's Endowed Scholarship at MSU. The generosity of donors such as you helps our university maintain excellence in academics and student achievement. We are proud to have you as a part of our university family. On behalf of our South Central Association, I would like to thank the both of you for your generous contribution you made to our group! While I now remember you doing it in the past, this was not expected. With the season over and awards being ordered, our bank account is on the low side. This will definitely help with the start of our new season, which we hope to start in October. The State of MS Horse Show Association would like to take this opportunity to say Thank You to the MS State Equine Association for your many years of support for our championship horse show! Beginning in 2009, your generous contributions and support for the past 10 years has been and continues to be, oustanding and very much appreciated. Because of your support we are able to award over TEN High Point Buckles each year during our championship show. The State of MS Horse Show Association recognizes what an amazing organization you have and that your support for the many groups is a true testament that the MS State Equine Association is dedicated to the equine industry in our great state of Mississippi. We wish you much success for the future and look forward to working with you as always. Currently a junior at Mississippi State University working toward a degree in Animal & Dairy Science, and a candidate for the school of Veterinary Medical Science. Thank you so much for your monetary donation to the Mississippi Agricultural Museum. The outpouring of support after the fire has been simply amazing. We appreciate your support and investment in the future of the museum. Thank you for your support of the department's equine programs. It is due to your generous support that we were able to award over $21,000 in scholarships and two horse judging programs this year. Thank you so much for the Mississippi State Equine Association's Endowed Scholarship in 2017. This scholarship will help me cover the rising cost of tuition and get one step closer to my goal of veterinary school. I hope you and the Mississippi State Equine Association are doing well. 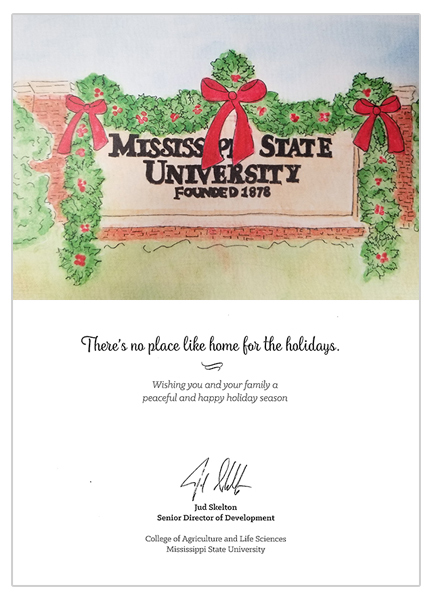 I just wanted to thank you for your continued support of MSU's Therapeutic Riding programs. We certainly appreciate it; and wish you well with MSEA support. Thank you Mississippi State Equine Association for your donations and support to the Hernando Saddle Club in Hernando, Mississippi. On behalf of all our members, thank you and God Bless. I can't tell youhow much I appreciate receiving your scholarship this year. I am a junior majoring in Animal and Dairy Science medicine. I aspire to own a mixed animal practice. I have a particular interest in cattle and horses. Thank you for investing in me; I will use it wisely.